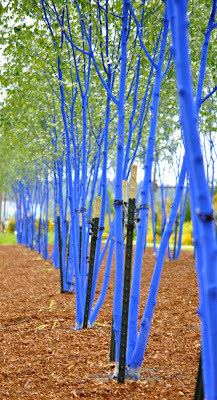 Last week I picked up the madre and we drove down to Kenmore to see the Blue Tree installation along the Burke Gilman Trail. 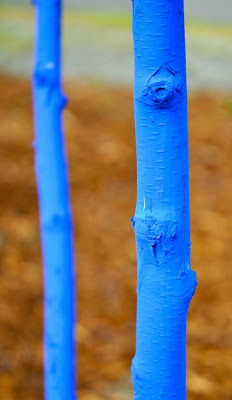 They are, indeed, very, very blue. According to the literature, the birch trees are painted with a water-based non-toxic pigment that will naturally wear off in time. 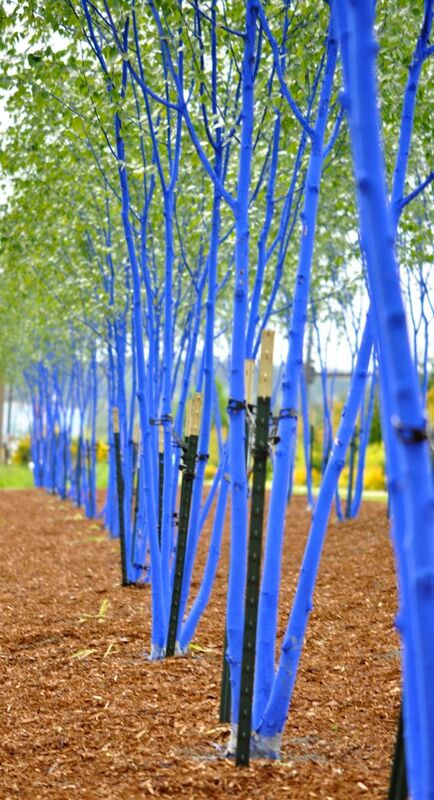 The purpose is to raise social awareness for deforestation occurring on a global level. 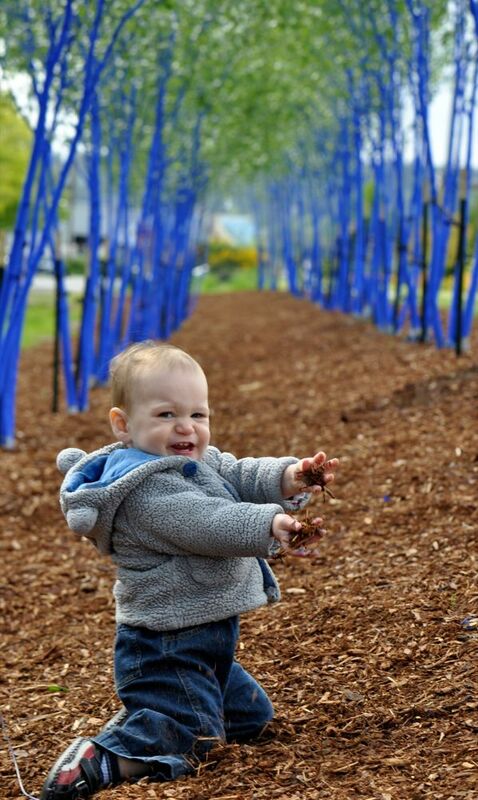 While I'm not entirely sure how bright blue trees will stop the cutting of global forests, I can say that the baby was in dirt heaven. Indeed, our work here is done.